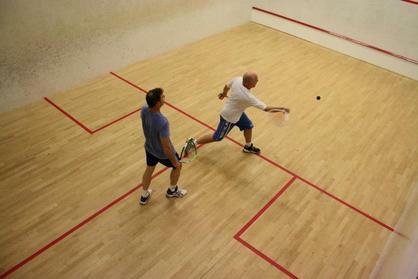 The last time that the UK-Racketball Series ran an event in Leamington was before the club redevelopment in 2014. As you would expect in Racketball strong Warwickshire the event was a great success with club Head Coach Jason Pike being beaten in the A Grade final by Dan Soar. Many of the other winners back in 2014 are still regulars on the tour, Ryan Loska took the B Grade, James Powley the Over 40's and Natalie Lawrence the Women's. The club development has transformed the squash section at the club. A new glass back court built alongside the first has opened up the viewing for the show courts and helped to give the club a fantastic tournament atmosphere. With the event taking place two month after the Racketball/ Squash57 Nationals in nearby Birmingham expect a strong local Edgbaston as well as Warwickshire entry! 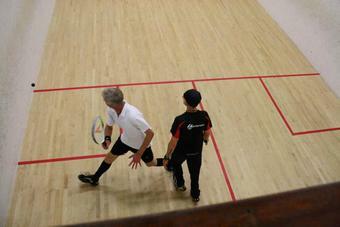 ​The club has 6 squash courts including a two championship court’s with plenty of seating. If the weather is hot sitting outside to watch the tennis will be a lovely way to spend your spare event time, bringing a good book is advised!